Last year, former Ponytail guitarist Dustin Wong teamed up with Japanese electro-pop vet Takako Minekawa for a collaborative album. Evidently that project went so well that the pair are back for another go-around. 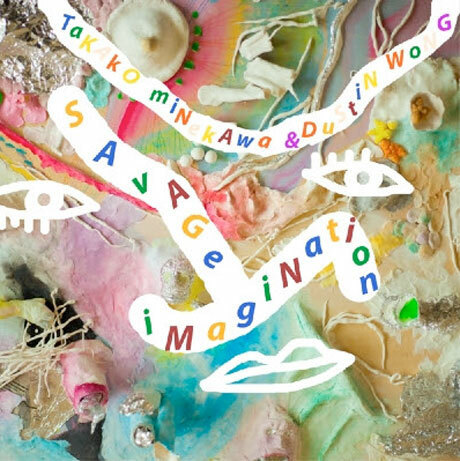 Their collaborative album Savage Imagination is due out on September 23 through Thrill Jockey. A press releases describes Savage Imagination like this: "It is an collection of vibrant pop music, laced with the sounds of video games, radiophonic experiments, and indigenous music from around the world." The album was recorded at home, with Wong using some of the looping techniques established in his solo work. That's the brightly colourful album cover above. The tracklist is below; scroll past that the hear the quirky six-minute cut "She He See Feel." This track finds Minekawa singing about "quantum physics, human consciousness, and flying above a desert all within the framework of Japanese puns." The album is available to pre-order here. The first 500 vinyl copies will be pressed on mint green vinyl. CD versions are also available.